Wow! doesn’t time fly? It is nearly time for the first meeting of 2016. When is that I hear you ask? 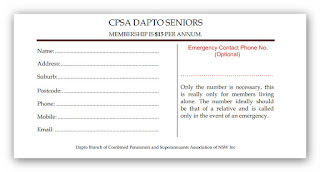 Membership is due so don’t forget to bring along your envelope with your membership details on the outside and $15 on the inside - give our hard working treasurer a break; make sure you have the right money because he will not be giving change. If you don’t have an envelope then you can print your own by >>downloading this<< and printing it yourself. 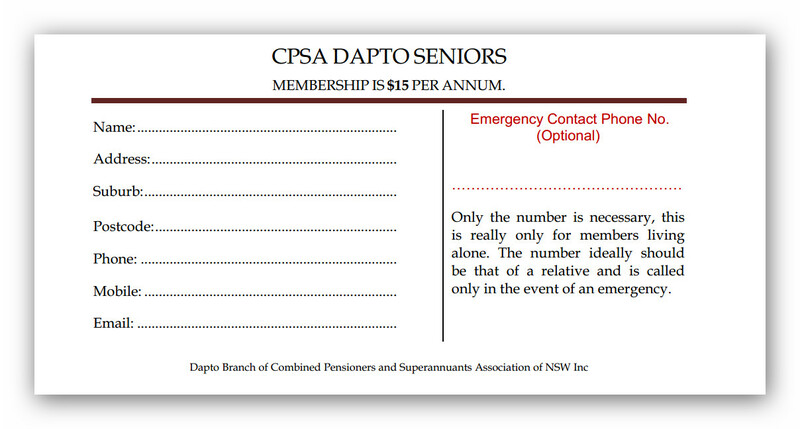 The download is designed to be printed on a DL Envelope (A4 folded three times). The meeting will start at the usual time of 10.30am but there will be a lot of members wanting to pay their dues so allow a little extra time. Have a cup of tea, a biscuit and catch up with all your mates. Don't forget this is not an AGM, that will be held in July or August. Just a reminder to that some of the activities of the club start before the first meeting of the year. Check with your group leader if you are not sure.